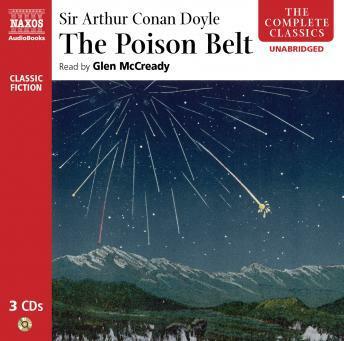 The sequel to The Lost World, Arthur Conan Doyle's Poison Belt reunites the ever-popular Professor Challenger, intrepid journalist Edward Malone, dashing Lord John Roxton and the querulous Professor Summerlee for yet another adventure. When a sinister poison envelops the earth, the entire human race teeters on the brink of destruction, forcing the comrades to implement a desperate plan for survival. A cryptic telegram, a mysterious airborne poison and an eerie journey around post-apocalyptic London, this is vintage Conan Doyle. Glen McCready's exhilarating reading brings all the tension and excitement of this classic tale vividly to life.